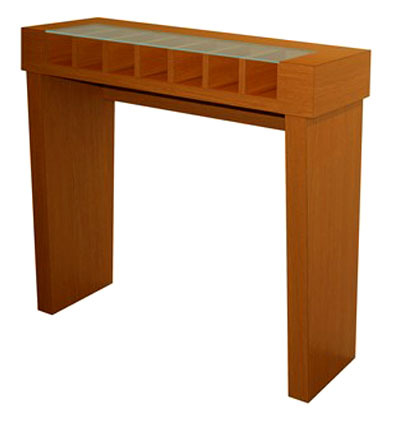 This striking single-sided, square-edged check desk is Frank Lloyd Wright reminiscent. 42 inches wide, by 42 inches high by 15" deep. It has a flushed-top acrylic writing surface with seven compartments for 4" x 9" literature and can fit with any decor. It has beveled laminate legs and is finished on all four sides.